Fill out the form and a Catapult team member will reach out to you shortly. From ride-sharing and music streaming to mission-critical enterprise software, what started as a consumer-driven trend is now redefining business operations. 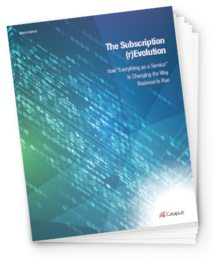 In the realm of IT support, the subscription revolution has made it simpler and more affordable for companies to sustain digital growth. How could 300 IT experts on demand - for one monthly subscription - advance your digital transformation? How could 300 IT experts on demand -for one monthly subscription - advance your digital transformation?